Sidhil News: Due the same day as Kate!!! Due the same day as Kate!!! 9 months ago David Rowlands (Stock Controller) and his lovely wife Rebecca (definitely the boss at home) announced that they were expecting their first child and as luck would have it Prince William and Kate also announced that they too were expecting their first child on the same day!!! So 9 months on and we are all anticipating the arrival of the new baby Rowlands, and the new prince or princess, but who will arrive first?? 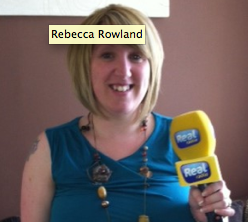 Real Radio have been on the case this week and have caught up with Rebecca every day to see if she is about to drop (Kate was unavailable to comment! ).